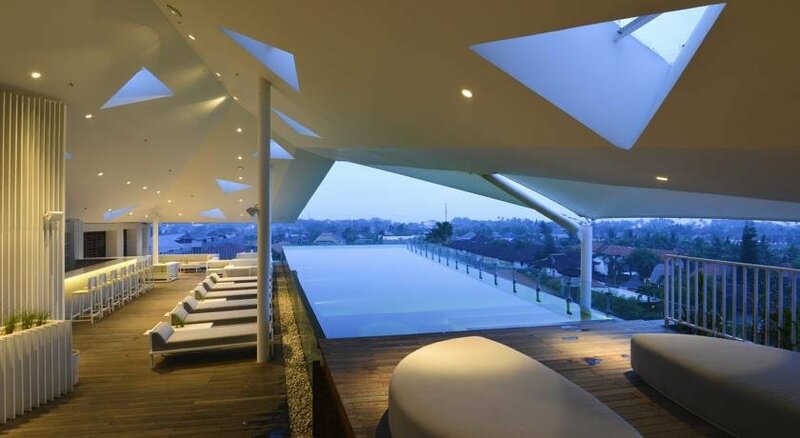 Bali's hippest new hotel, IZE Seminyak is a modern hotel attracting a young crowd keen to embrace the action in the heart of the lively and fashionable suburb of Seminyak. IZE Seminyak is ideally situated for guests wanting good fun, great food, shopping , local culture and a dip in the ocean. Seminyak boasts Bali's sophisticated nightlife scene with pubs, wine bars, simple Balinese cafes or fine-dining restaurants, as well as upscale boutiques and local souvenir shops.